Attorney Search Network is committed to protecting your privacy. Attorney Search Network, Inc. offers the information on this website as a service to internet users and our members. Although the information on this site is about legal issues and informational services, it is not legal advice. 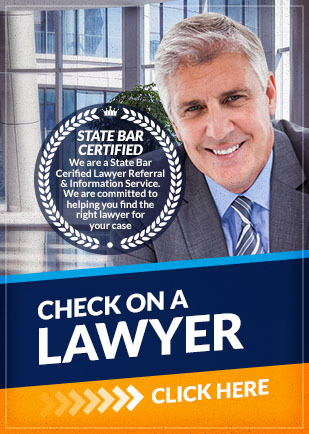 People seeking specific legal advice or assistance should contact a lawyer either through Attorney Search Network's Lawyer Referral and Information Service or from any other appropriate source. Additionally, due to the rapidly changing nature of the law and our reliance on information provided by outside sources, Attorney Search Network makes no warranty or guarantee concerning the accuracy or reliability of the content at this site or other sites to which we link. Any unauthorized downloading and distribution of any copyrighted material from this site or sites to which we link, without copyright owner's permission, is strictly prohibited. www.AttorneySearchNetwork.com has been designed to provide educational information only and is not intended to offer legal advice.